I love candy, and of course I have to share with my kids, so I finally found a healthier candy option. 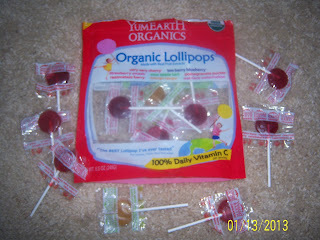 YumEarth Organics is a great tasting fruit filled sweet. 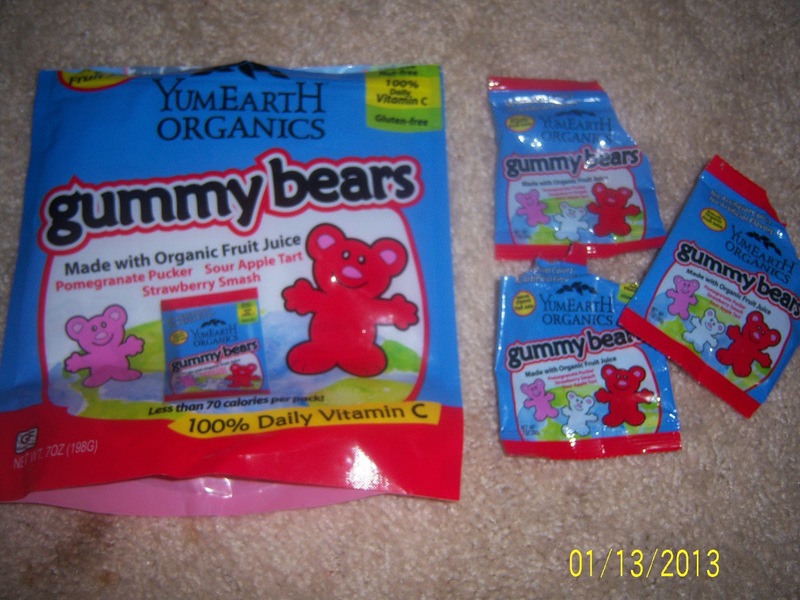 YumEarth comes in Gummy Bears which is separated into packs which each pack has about 15 gummies. The gummies have a 100% Vitamin C and are 69 calories a pack! How great. Along with that they come in great flavors Pomegranate Pucker, Sour Apple Tart, and Strawberry Smash. YumEarth Organics, also has great tasting lollipops which come in the flavors mentioned above along with 5 others, Mango Tango, Too Berry Blueberry, Very Very Cherry, Razzmate Berry and Wet Face Watermelon.Yum! My kids enjoyed these very much. It was a nice after school reward. All of YumEarth Organics are free of artificial dyes, gluten free, peanut and soy free, dairy free, 100% vegan and 100% Natural Flavors. I love these and up til today would never have thought to look for them. You can find them in the candy section of major retail. Disclosure: I was given 2 Packages of Yumearth Candys to help with my review. All opinions are 100% mine.